Hill's™ Science Plan™ Adult Light with Chicken comes in a variety of sizes. 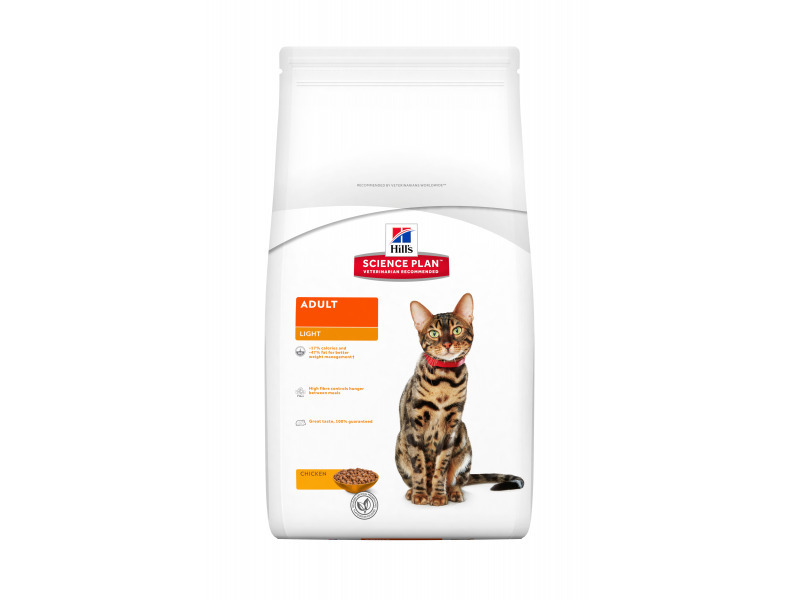 It comes as either wet or dry food depending on which best suits your cat. Chicken is an excellent source of protein and is highly digestible. It is also highly palatable and you can be assured that even the fussiest of cats will be satisfied! Ingredients: Chicken: Chicken (32%) and turkey meal, maize, brewers' rice, maize gluten meal, animal fat, cellulose, dried beet pulp, pea bran meal, digest, minerals, L-carnitine, taurine, vitamins, trace elements and beta carotene. With a natural antioxidant (mixed tocopherols). Ingredients: Chicken: Chicken (26%), pork, maize starch, cellulose, wheat flour, various sugars, minerals, dried pork protein, dried whole egg, pea protein, sunflower oil, taurine, vitamins, trace elements and beta-carotene. Coloured with natural caramel. 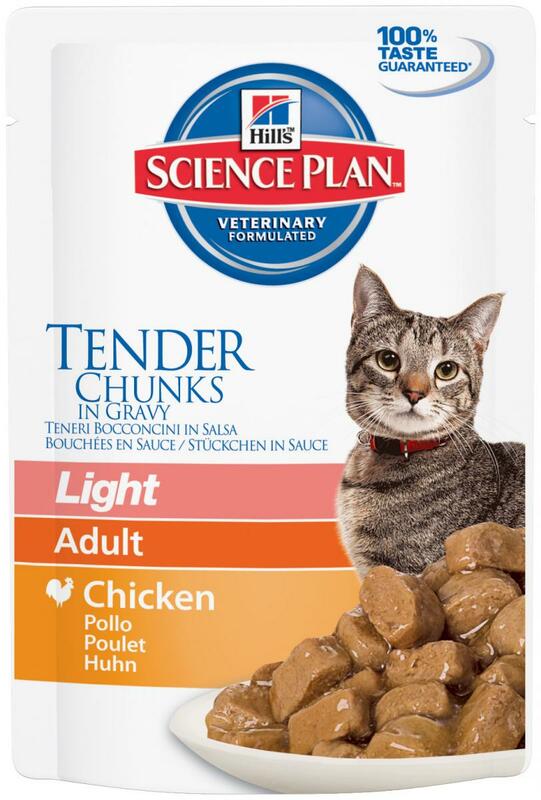 There are currently no questions for Hills Science Plan Adult Light Chicken Cat Food - be the first to ask one!